Open concept 1 bedroom, 1 bathroom, 567 sq ft townhouse unit in the heart of Toronto’s vibrant King West neighbourhood! The combined living and dining room features new hardwood floors, gas burning fireplace, and walk out to the large tree-lined balcony. The renovated kitchen has new cabinets, backsplash, tile floor, and countertops with breakfast bar. The hallway towards the bedroom has a laundry closet with a stacked washer and dryer, large closet with built-in cabinet and organizers, and a 4-piece washroom with new tile floor and vanity. The Master bedroom has excellent light from the large bay window, hardwood floors, and a double closet with custom built-in organizers. 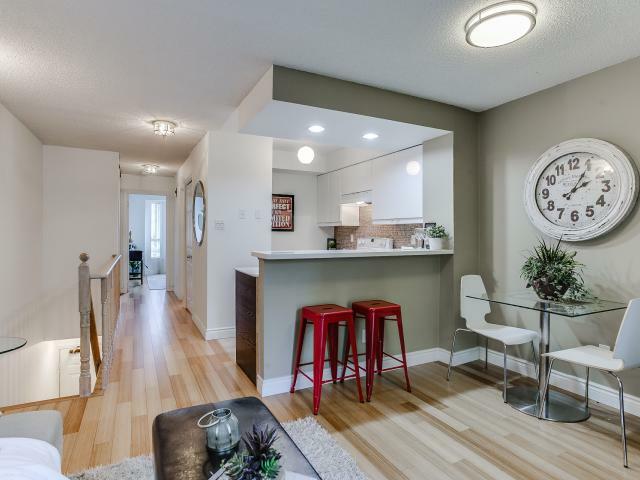 The unit is just steps to Stanley park which features an off-leash dog park and swimming pool with easy commuting via the TTC King Streetcar only a 3-minute walk from the front door. 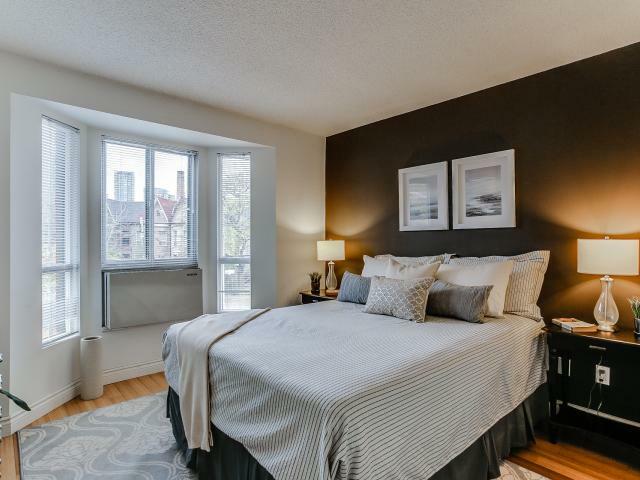 It is also walking distance to Trinity Bellwoods Park, Historic Fort York, Liberty Village, Exhibition Place, Waterfront, and the best shops, restaurants, and cafes on Queen and King Street West! 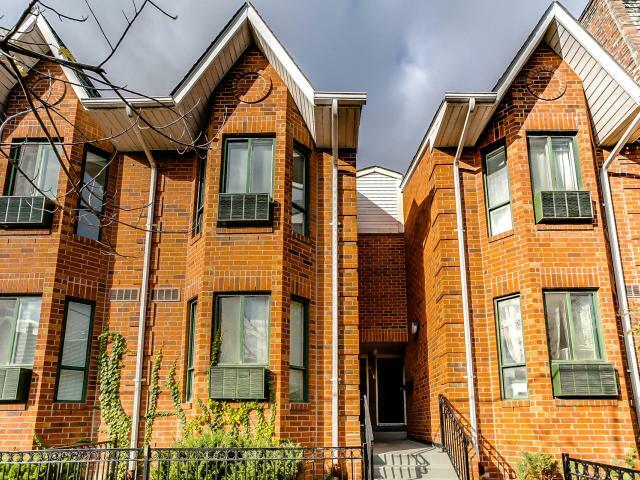 This unit is a true gem in one of Toronto’s most iconic neighbourhoods.